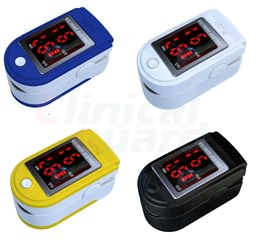 FDA Approved and Medical CE Certified Fingertip Pulse Oximeter Model CMS-50DLP is designed to provide an affordable yet accurate way for spot-checking blood oxygen saturation levels and pulse rate. This oximeter helps physicians, nurses, patients, athletes, and pilots to obtain accurate oxygen saturation readings very quickly. Its small size makes it easy to carry around in its soft carrying case - optional hard shell case available for greater protection. Simple operation allows it to turn on and off with the touch of a button.